We had a standing-room-only crowd at our “Ready, Set, Go!” program on March 9. Many thanks to the four experts who offered important tips for preparing for disasters and evacuating quickly. By popular request, we’ve summarized their advice in this handout, which we suggest you print out and keep handy. 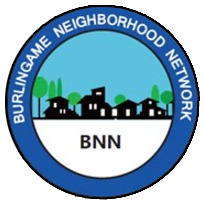 We also offer a list of Important Emergency Phone Numbers for Burlingame residents, thanks to Dena Gunning, our new Community Risk and Resiliency Specialist at the Central County Fire Department.